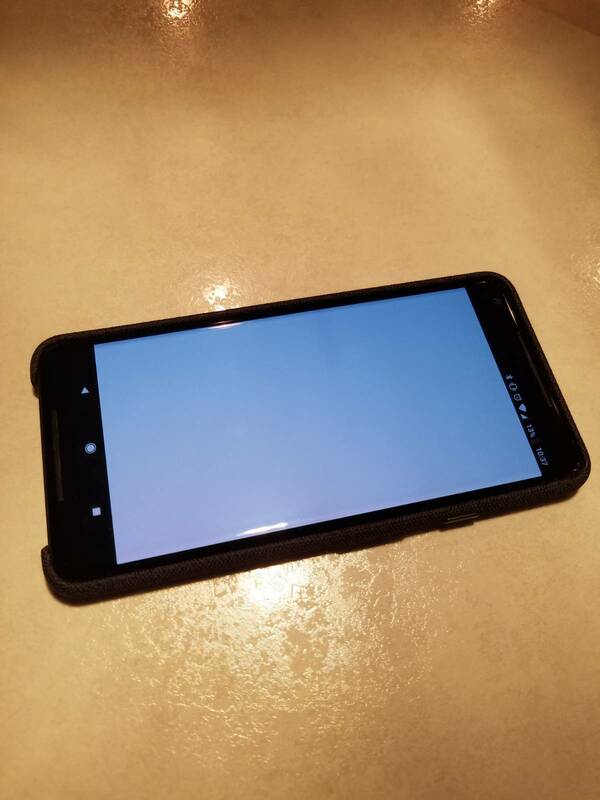 Several different complaints have been reported, ranging from a blue tint when viewing the screen at an angle, screen burn-in or image retention, lines of dead or colored pixels, low light graininess, dull (if accurate) color profile, light bleed, and even a strange shadow arc. I had to take a deep breath after just typing that list. This video shows another interesting issue with a line of green pixels when the screen is pressed. Left: Dark band. Top right: Pink pixel line. Bottom right: Blue tint. Before we go any further, let's just be clear about something. It's common for newly released devices to have some issues, particularly those from the first production run. You won't find an example of any phone launch where every unit is uniformly perfect. I remember ordering the Nexus 4 as soon as it became available, and I ended up returning three imperfect models before I got one I was happy with, all due to different manufacturing defects. I swore I'd never order a phone so early in its production life again, yet I willingly flaunted my own rule when I excitedly ordered the Pixel 2 XL (which isn't coming till mid-November, sadly, so maybe mine will be alright). 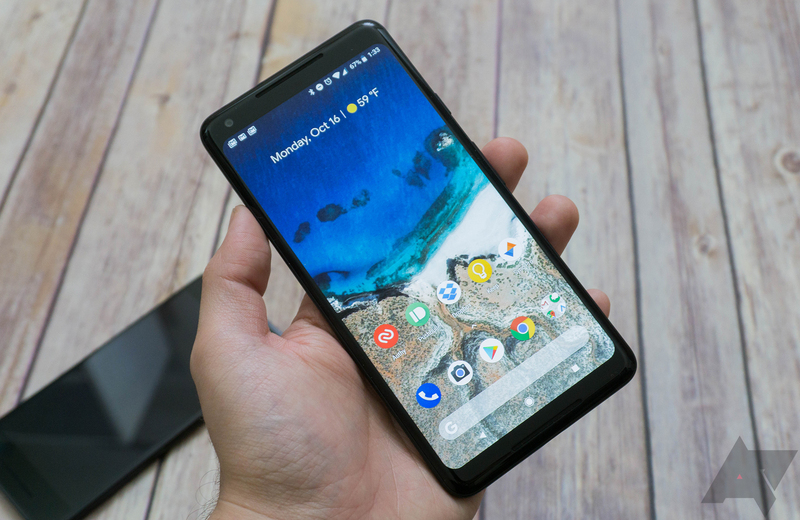 That said, the noise about the Pixel 2 XL display issues is getting louder, and it's probably not normal for a company to send out so many problematic review units unless there is actually an inherent defect with the display. 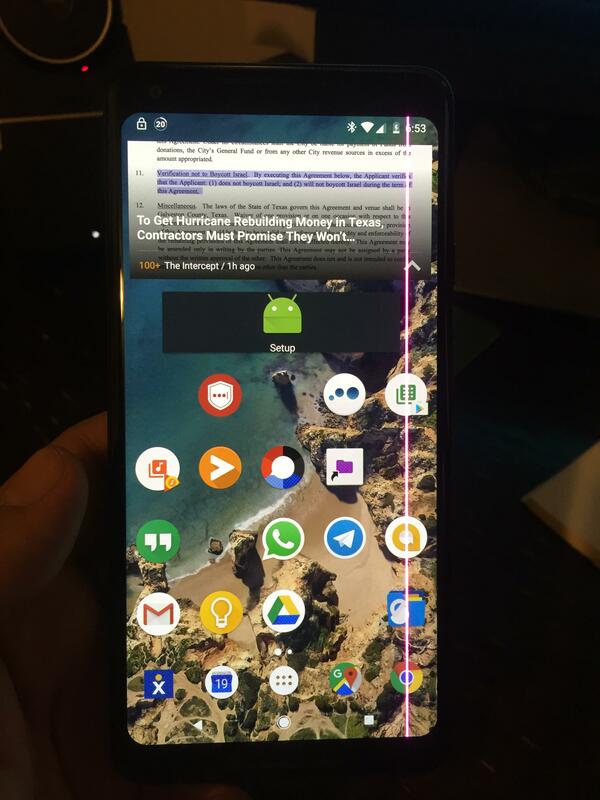 It's worth noting that there have been similar reports of problems with the screen on the LG V30, which uses either the same or a very similar panel to the Pixel 2 XL. That would also suggest that the issue could be widespread. According to Stephen Hall, not one but two 9to5Google units also show potential burn-in. Ryan, who reviewed the phone here at AP, said he could reproduce this but that it was almost certainly image retention rather than screen burn-in, which is a far less serious, temporary problem. He noticed the faint remnants of the nav buttons, too, but after a couple of minutes playing full-screen video, they disappeared. Burn-in usually takes months to set in, too. While image retention is not ideal it's probably not a deal-breaker, and is common in OLED panels (even if Samsung hasn't had this issue for several years). Who knows, though, perhaps some other units do have the more serious burn-in problems that Ryan's did not. 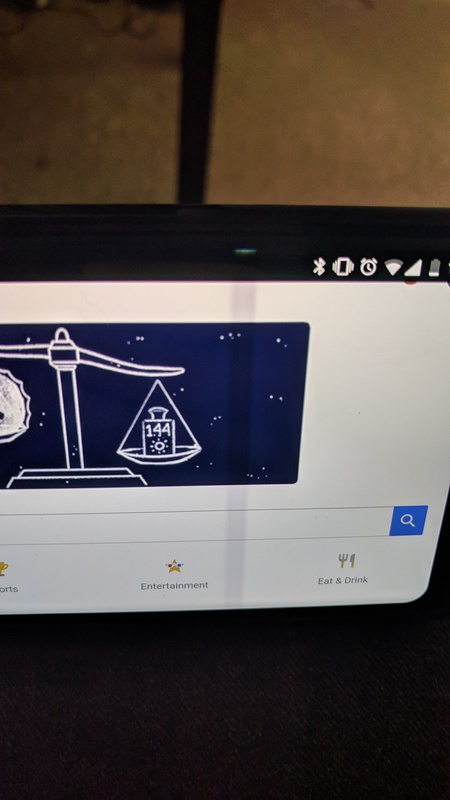 Ryan's side-by-side of the Pixel 2 XL (left) and LG V30 (right). It's clear the 2 XL doesn't have the same banding/bleed issues. With reports mounting, Google really had no choice but to issue an acknowledgment of some sort. It's possible that the display problems have already been solved by Google and LG, and that the next batch of units that will ship to buyers will be better than the current crop. 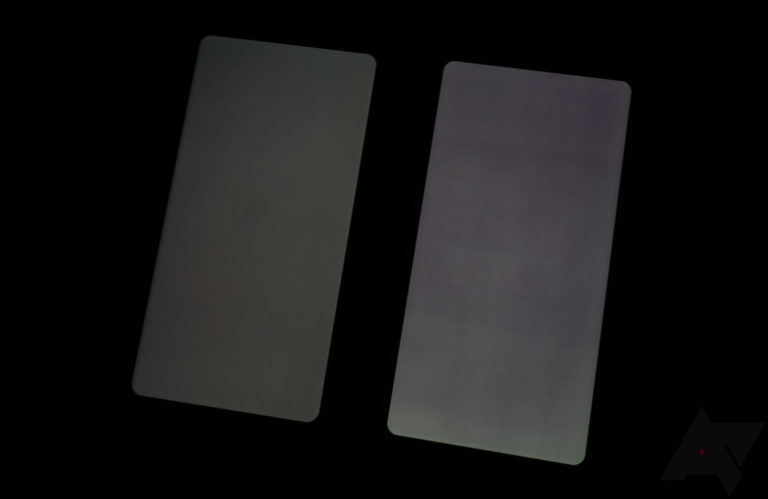 Some of the issues potentially aren't a big deal, such as blue tint, graininess, and image retention, issues that are suffered by most OLED panels to some extent. Regardless of whether Google rights these wrongs, you're entitled to expect better when you are paying at least $849 for the flagship phone from the maker of Android. You shouldn't be punished for being an early adopter, and you shouldn't have to put up with any display issues whatsoever, no matter how minor. If there is an inherent flaw with the display production, Google will have a serious PR nightmare on its hands, and deservedly so. This is the last thing the company needs in the wake of the Home Mini debacle. We'll just have to watch this space and see how the story develops. If you want to test your screen, check out the Display Tester app on the Play Store. As always, let us know your findings in the comments below. The blue shift when viewing the 2 XL display at an angle is normal, apparently. Google says that it is going to update the new Pixels with more saturated colors, but that the burn-in isn't an issue. To allay users' long-term dears about the display on their Pixels, Google has extended the warranties to two years, globally.